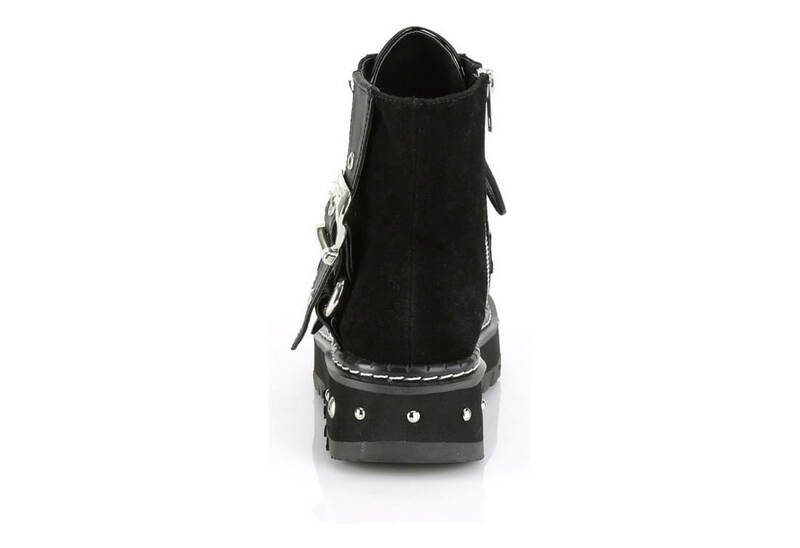 A charming pair of ankle boots, the Lilith-278 is a metal studded platform boot with buckle straps across the front and outside of the boot. 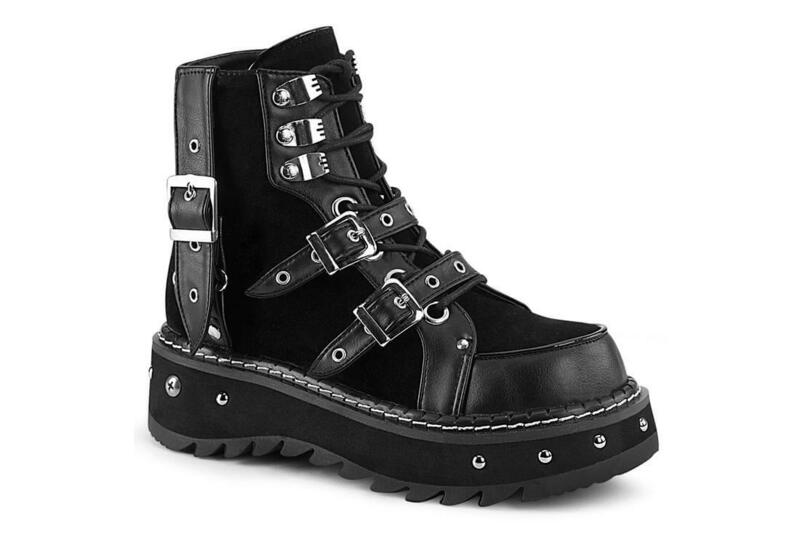 It comes with a side zip making these boots super easy to take on and off. 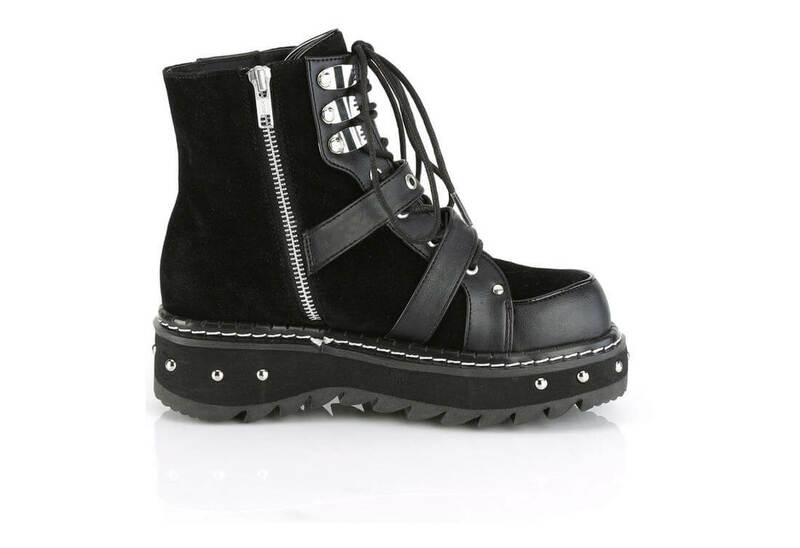 This boot can be unisex. I ordered size 9 men's. The style has "Hunger Games" vibe to it, & very comfortable. It will get you notice! 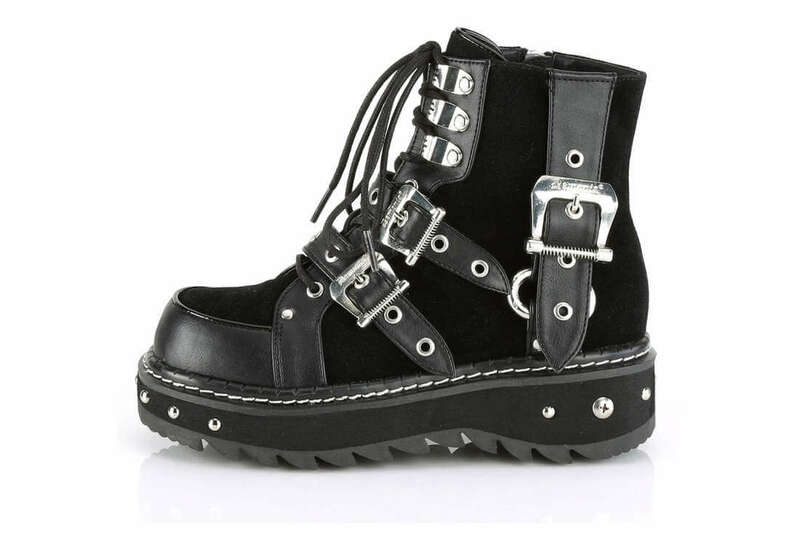 I expected these to not fit me at all, as I have a really wide foot. However, I was happy to find that this happens to be a very wide boot! Probably not for someone with narrow feet because of that. The size of them length-wise is as expected. 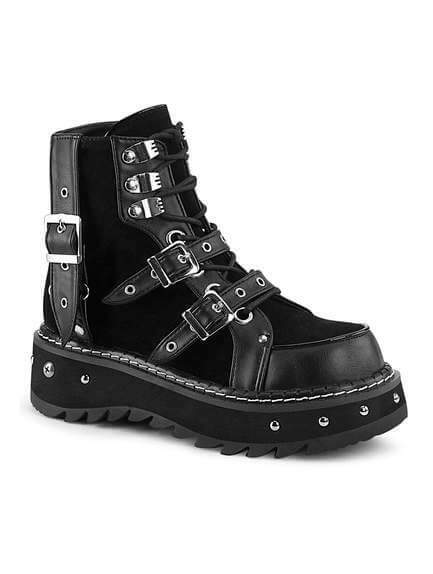 Unlike regular boots, I ordered my normal shoe size instead of sizing down, and they're just right. If you size down, they may be too small. 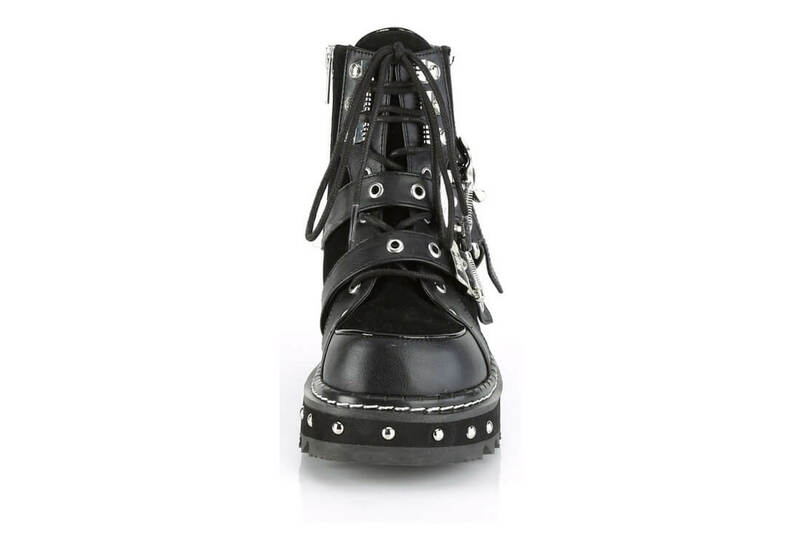 The only problem I have with them so far is one of the studs near the toe can dig into the foot a little, but people with more standard feet than mine may not even have that issue.